I just discovered this image while starting to sort through the images from my wedding in Seattle! This image is STRAIGHT out of the camera with no adjustments or enhancements at all!! I just couldn’t believe how rich the color was! This was the one rain free evening we had….and I’m soo glad I stepped outside to capture this! 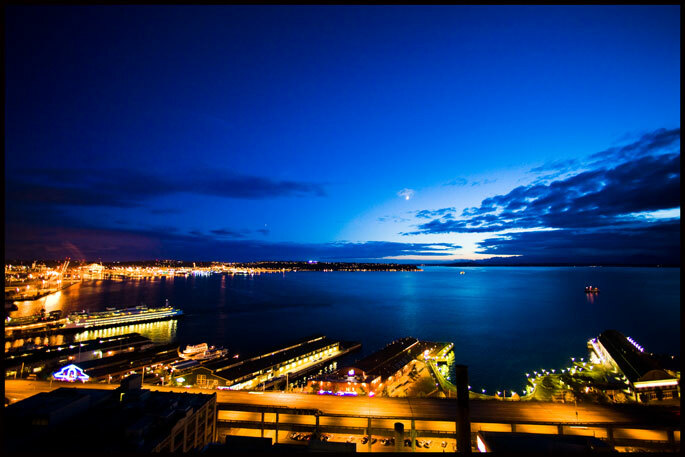 This view is straight out of Gary’s condo in Seattle, where we stayed! It is SUCH a fantastic view!! WOW – this is gorgeous…what a great shot! I love your blog and just found out you had the Photographers blog that I have added to my favorites. Keep up the great work, you are my inspiration!